Laszlo Tisza, a physics professor at MIT for more than three decades and a specialist in quantum mechanics and thermodynamics who left a legacy of groundbreaking research, died April 15 of heart failure at the Stone Institute in Newton. He was 101 and lived in Newton. Dr. Tisza became famous for developing a model in 1938 "that explained the unusual behavior of liquid helium, which results when helium gas is cooled to within a few degrees of absolute zero," according to a press release from the Massachusetts Institute of Technology. "Earlier that year, experiments had shown that below a certain temperature, liquid helium lost all of its viscosity and could flow through narrow channels with complete absence of friction." Colleagues in countries where he had trained as a young man with master physicists of the 20th century mourned his passing. "Laszlo Tisza's creative accomplishments in physics were wide and deep, propelled by a now-rare devotion to frontier problems both in science and in the philosophy of science," said Harvard physics professor Gerald Holton. "He was one of that group of bright and accomplished men and women who escaped in mid-20th century from the deadly ideologies of Europe, and on coming here helped make this country excel in science." The last of the many publications Dr. Tisza authored is his "Memoir: Adventures of a Theoretical Physicist," being published by Physics in Perspective. In its foreword, MIT physics professor and Nobel laureate Jerome I. Friedman writes of Dr. Tisza: "He not only witnessed a number of the developments in physics at close hand and knew many of the major figures, he also made significant contributions of his own. Edward Teller, Lev Landau, and Fritz London were his mentors." "He started his career with some self-doubt," Friedman said, "but went on to provide the crucial idea that resolved the mystery of superfluid helium. Robert S. Cohen of Watertown, a retired Boston University physics professor and dean, was Dr. Tisza's longtime friend. "Laci [as he was called] was a pioneer teacher in the field of statistical analysis and quantum physics," Cohen said. In spite of his achievements, Dr. Tisza was a modest man. When MIT first hired him, Cohen said, Dr. Tisza "thought that anybody of value had left the university and they had hired him." As a young physicist in Europe, Cohen said, Dr. Tisza had become internationally known for his research on statistical thermodynamics. In 1934, world-renowned physicist Niels Bohr made his first trip to Russia and took Laci with him, Cohen said. "This was a big, pioneering breakthrough with a Communist country. Tisza went back to Russia after that trip with Bohr and worked for two or three years with the most creative Russian physicist, Landau, who was doing theoretical physics. Landau was like the Einstein of Russia." Dr. Tisza was born in Budapest on July 7, 1907, "a unique time to be born there," said his stepson Stephen Buka of Barrington, R.I. "At the time, Hungary was the seat of science, culture, and arts, the center of intellectual and cultural life. Laci grew up in Budapest with that culture and had an early fascination with math and problem-solving." In high school, he received the prestigious Eotvos Prize in physics. Another winner was Teller, a fellow Hungarian and longtime friend, who came to this country to work on its nuclear program and died in 2003. "Though his father owned a bookstore in Budapest," said Dr. Tisza's wife, Magda, "Laci was quite sure this was not for him." He studied at the Universities of Budapest, Gottingen, and Leipzig, earning his doctorate from the University of Budapest in 1932. Before arriving at MIT in 1941, Dr. Tisza was a research associate at the Ukrainian Physico-Technical Institute in Kharkov, Ukraine, and at the College de France in Paris. In 1938, while working at the College de France, Dr. Tisza married Hungarian physician Veronica (Vera) Benedek. With Vera, who became a pediatric psychoanalyst, he left France at the beginning of World War II and settled in Cambridge, Magda said. The couple divorced in 1963. "When I met Laci a few years before we were married," Magda Tisza said, "I was a widow with two teenage sons and a lecturer in French at MIT." After the couple married in 1973, they settled in Newton, where they spent the next 36 years together. "I think the highlights for Laci were his studies in Germany in the late 20s where he met the early great minds of 20th-century physics; his two years in Kharkov, working in the Institute of Lev Landau; his interaction and work on liquid helium and superconductivity with Fritz London, and the long, happy years at MIT," his wife said. There he first taught the basics of physics, while many of the faculty were away on wartime work, and, later, established his course on thermodynamics. Dr. Tisza's classes were among the most popular at MIT. He taught both undergraduate and graduate physics, and often, faculty members would sit in. Abner Shivony of New Haven, who was teaching philosophy at MIT at the time, was among them. "Laci's course in thermodynamics was brilliant," he said. "He also made significant contributions to the philosophy and history of physics. He was a man of great ideas devoted to understanding the natural world." After his retirement from MIT in 1973, Dr. Tisza continued teaching and remained highly active there and in the physics department "for many years to come," MIT physics professor Mildred Dresselhaus said. Inside and outside of the classroom, Dr. Tisza was "a very gentle man," Dresselhaus said. "He was not forceful but demanded excellence from himself and others." Dr. Tisza never lost his zest for life. He loved good food and good wine. As a younger man, he had been an eager hiker and mountain climber, and he continued hiking into his 90s. Although he lived in the United States for decades, his wife said, "he was proud of the fact that he still spoke Hungarian fluently and enjoyed fairly frequent trips to Budapest." 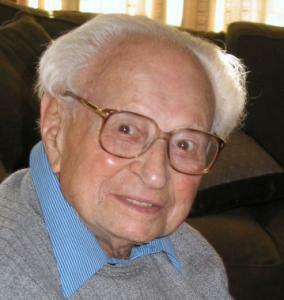 In 2007, a symposium was held for his 100th birthday. "At that time and beyond, within the last two weeks of his life, Laci remained clear-headed, well informed and, to the last, engaged in his work," his wife said. In addition to his wife and stepson, Dr. Tisza leaves another stepson, David Buka of Andover, and five grandchildren. A memorial service will be held at the MIT Chapel at 2 p.m. tomorrow.